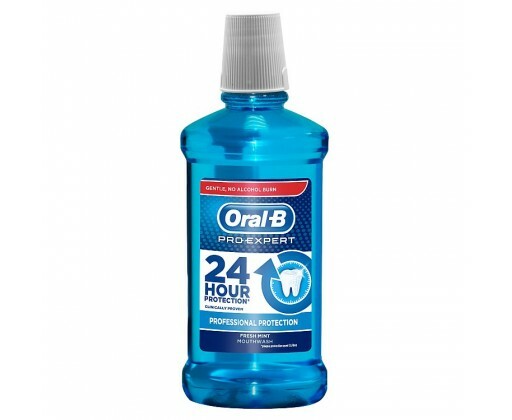 Oral-B Pro-Expert Mouthwash: all around 24-hour protection* on plaque, gum, bad breath. (*when used 2x/day). Oral-B Pro-Expert Mouthwash leverages Oral-Bs most advanced formula ever, a clinical breakthrough that helps prevent plaque regrowth and gum problems as well as maintaining fresh breath.